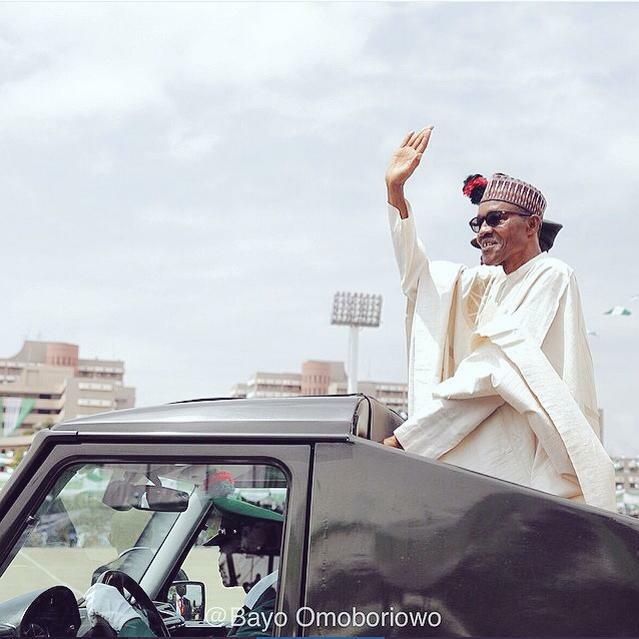 President Muhammadu Buhari’s words were not too many but his speech at his inauguration was very re-assuring. Before an ecstatic audience of about 50 world leaders and several millions of viewers, he correctly assessed Nigeria’s predicament, restated the vision of the founding fathers of ‘a viable and progressive country’ and committed himself to the immediate job of tackling the extant challenges and returning the country to the path of viability and advancement. There were not many sound bites and quotes but the message was clear. Indeed, it was a soothing message and the historical opportunity to lay out his vision for the nation was well grasped by Buhari. Three main key areas are easily discernible. They include the acknowledgement of the country’s present condition, security question and destination to which he desires to take the country. These were captured succinctly thus: An economy in depression and characterised by a depleted foreign reserves, dipping oil prices, leakages and debts; Boko Haram and its atrocious butchery against innocent people, the Niger Delta situation characterised by an ironic environmental degradation, oil theft and militant agitation; the endemic power shortages and spiralling youth unemployment; declining standard of education; broken-down medicare and other physical infrastructure. The motor force to overcoming these problems is to be built on constitutionalism. In the president’s own words, “to achieve our objectives, we must consciously work the democratic system. Executive under my watch will not seek to encroach on the duties and functions of the Legislative and Judicial arms of government. The law enforcing authorities will be charged to operate within the Constitution.” Also, according to him, the public service which is the institutional memory of the state would be rebuilt. The language again, if not soaringly poetic, was quite re-assuring. In 20 minutes, the speech was brief and fits the president’s personae. The line, “I belong to everybody and I belong to nobody”, now etched in everybody’s memory is indicative of his administration’s resolve to transcend primordial bars. It diffuses the fears that the regime would be vindictive over the voting map and that he could be hemmed in by some godfathers. Buhari has said that he would visit the nation’s neighbours and he is doing so already. It is clear that the neighbours are important to Nigeria’s security and the country must be represented by the most experienced diplomats in the pool. The identification of the security question as pivotal is right on the mark. The Islamic insurgents in the north and the oil theft in the Niger Delta central to the health of Nigeria’s economy must be given priority. It is important to state that presidents don’t make empty speeches. Their words are their bonds. Therefore, President Buhari’s words should be his bond. While it is hard to find a big picture of tomorrow or a clear-cut vision in his presidential opening statement, the aspirational line on recovering from Nigeria and fulfilling the mission for a viable and progressive country is encouraging. The emphasis on education is good. Education is the must-kit to navigate the world of the 21st century. It is the golden jacket that every nation is donning. Nigeria must do so. The country should produce the necessary manpower key to the material development of the country. The instruction on the movement of the operational command centre of the armed forces to Maiduguri which has been carried out is a right move in the right direction. Contrary to the erroneous view that it is the movement of the defence headquarters to Maiduguri, it is an operationally strategic and militarily prudent move which should accelerate Nigeria’s victory over Boko Haram. The move would allow forces to have forward operational base and a logistic rear that shares proximity to the theatre of operation and delivers results. These are extra-ordinary times for extra-ordinary valour to rid the country of insurgents. The order has left no one in doubt that Buhari is going to reposition the security forces. A motivating addition is that the president has also consummated a visit to some of Nigeria’s neighbouring countries in the coalition against Boko Haram. And the matter also ranked high in his discussions with G7 leaders in Germany. It is right to point to an immense omission in Nigeria’s national life which Buhari must address: There is little formal documentation of the nation’s affairs – the oil, the roads, general material production taking place in the country. But the president needs these facts to govern. Because as at today, no exact statistics on key government formations are available and with accent of validity. President Buhari has to have a clear idea of a certain Nigeria in his head, and only the data that are available will enable him chart a direction with measurable signposts. His government needs to be people-centred as this newspaper has often advised. The “I belong to everybody and belong to nobody” clause in his speech speaks to that imperative. It is an affirmation that nobody can claim him more than any other person. He has said in effect that he belongs to all. Above all and in the context of the complexity of Nigeria’s national problems, Buhari should envision and work towards a Nigeria that is truly federal, united, prosperous and peaceful.